Some friends and I ventured down to Harwin this past Saturday, so of course I wanted to take them somewhere good to eat. (Yeah, this review is about a restaurant outside the north side "bubble.") 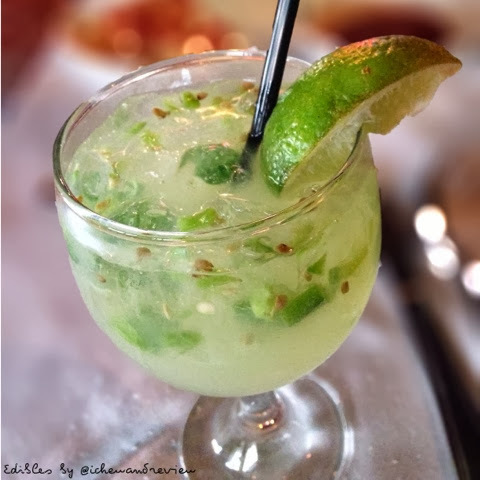 With a Houston restaurant wishlist a mile long, I wasn't sure how I'd ever decide. 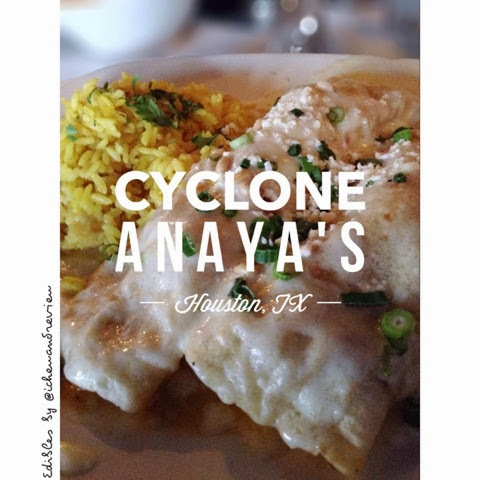 Thankfully, I remembered my friend Tina had been wanting to try the lobster enchiladas at Cyclone Anaya's after I posted them on Facebook a couple of years ago. So when I suggested there, they were all in. The location on Woodway was closer, so that's where we went. I've been to the Durham location 3 times and have only ordered the lobster enchiladas and beef fajitas. If I don't visit a place very often, I have a tendency to find one thing I like and order it repeatedly. I don't want to take a chance on something new that might not be as good. There are plenty of TexMex places in MoCo (that's Montgomery County for you city folk) that produce standard TexMex fare, so I see no need to waste a trip to a Houston restaurant on run of the mill entrees. I made that mistake once with the beef fajitas! They were fine, but not outstanding. Pappasitos and Lupe Tortilla do an equally as good of a job (if not better). Today was no different. Lobster enchiladas for me! These enchiladas are prepared with flour tortillas, so they're not necessarily "conventional" or stereotypical enchiladas. Some may even debate that they're not really enchiladas, but they can debate all they want while I eat their portion. There's a generous amount of lobster inside along with plenty of melted Mexican white cheese. I think, however, it's the Chardonnay cream sauce that makes these so good. I commented to my friend that they could put chicken in them and I'd love them just the same. Another thing I never skip at Cyclone's are the margaritas. I typically don't care for margaritas because they have a tendency to be cloyingly sweet; however, Cyclone's aren't that way. This time, I ordered the jalapeño margarita. I love getting a snack with my beverages (like olives in a Bloody Mary), so I particularly enjoyed the fresh jalapeño in my drink. It had a nice spice that offset the sweetness that so often turns me off. 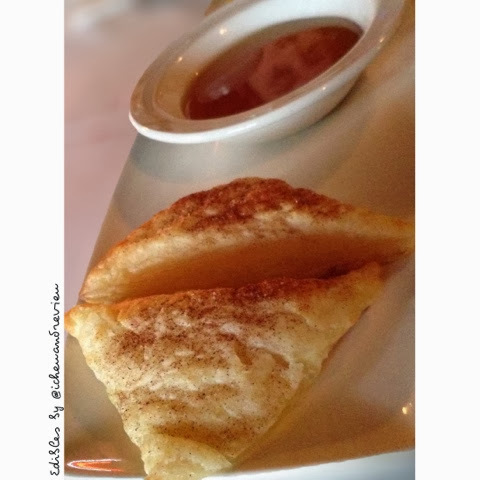 We ordered some sopapillas for dessert, but they were different than what I'm used to. They seemed to be plain puff pastry served with a large bowl of honey. The honey was very good, but I'd not order them again. I'd rather save my carbs and calories for a cupcake from Cupcake Cowgirls. I found the service a bit slow at the Woodway location. They seemed to be more concerned about sweeping the floor in preparation for the dinner rush instead of caring for the patrons visiting at an off-peak time. However, once acknowledged, the service was fine, and I enjoyed my meal. I was relieved that my dining companions liked it, too. When someone has been wanting to try something for years, you can't help but feel a little uneasy that it won't meet their expectations. Thankfully, Cyclone Anaya's did. I had given up on finding the perfect cupcake. One place's cake would be too dry, and another's frosting was too dense and greasy. Oftentimes the cupcake is so sweet and after two bites, your taste buds are so overwhelmed, all you can taste is sweetness. Who likes that? And besides, the cupcake trend was waning, so why continue the quest? All that changed one day when a friend told me about The Cupcake Cowgirls on 242. From what she described, it sounded like the perfect cupcake--a moist cake and a frosting that was light in texture and not overly sweet. So what if they'd won Cupcake Wars? Doesn't mean they're awesome. So even though I didn't believe my friend, I decided to try it myself. Bottom line...I'm glad I did. My husband and I arrived at their 242 location around 3pm. Frankly, I was thinking they would be almost sold out and our options would be limited. I was pleasantly surprised to see they had plenty left. The cupcakes are a very reasonable $3.50 each, and you can also order whole cakes in the same flavors as the cupcakes. 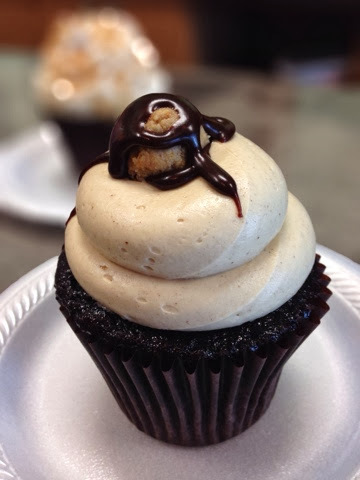 I chose the Mudslinger, a chocolate cake with peanut butter buttercream frosting. My first bite almost made me cry. The cake was cooked perfectly. It was not too dry, but not too dense. And the frosting. Oh, the frosting. It was light and fluffy, but not like grocery store whipped frosting. It wasn't overwhelmingly sweet either. Just the perfect balance of flavor. I have a policy which has helped me lose 60 pounds while still enjoying myself of only eating half or less of my food. It was extremely difficult to stop halfway with this cupcake. The hubs got a Vanilla Salted Caramel which had a vanilla cake, sea salt, and a caramel Swiss meringue buttercream. It was a Cupcake Wars winner, and it was a tasty one, too. 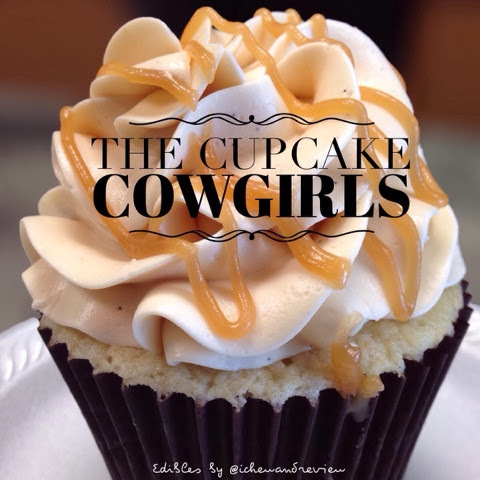 Cupcake Cowgirls is definitely worth your time--even if you had given up on cupcakes like I had. They have two locations, one in Spring and one in Conroe/The Woodlands. They are closed on Sundays, so don't plan on satisfying your cupcake craving on a Sunday afternoon after church.